Whether you have a short-term or long-term need for global communications from Egypt to your country, our virtual phone number plans can accommodate you. If you do business in Egypt or have other interests in Egypt, getting a global virtual phone number may make sense in keeping your lines of communication open. Global virtual phone numbers are a special type of international phone number that can be used to receive phone calls from afar. For example, if you get an Egypt virtual phone number, the number itself would be Egyptian, but you can set it up to ring to any phone in the world. Thus, callers in Egypt would dial an in-country phone number, but you’d receive their calls elsewhere. 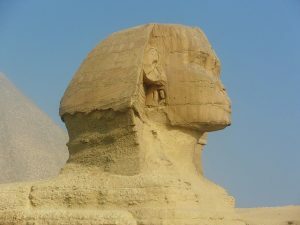 Why Get an Egypt Virtual Phone Number? There are many reasons why you might want a virtual phone number for Egypt. For example, if you have customers in Egypt but your main office is in another country, you could set up a toll free virtual phone number local to Egypt so that they can call you without hesitancy. Their phone calls would actually be routed to the phone number of your choice — even if that phone is located in India, China, Australia, Canada, South Africa, Brazil, or USA. If you have family members in Egypt, you could set up a local virtual phone number for them to use whenever they want to reach you. Since the call is local to your family members, their costs will be minimal, if any. You could also use Egypt Virtual Phone numbers as part of your international marketing strategy. By using unique phone numbers for each campaign, you can gauge the effectiveness of each campaign. Likewise, you could set up their destination phone numbers so that all calls ring to a centralized call center in another country. Clearly, there are many reasons to establish Egypt virtual phone numbers. Our global virtual numbers are available on a month-to-month basis with no contracts. Order an Egypt virtual phone number and assign it to ring to virtually any phone in the world. Choose the call volume that’s right for you. Buy a small number of minutes if you expect low call volume and then upgrade your plan once your calling needs increase. Optional rollover minutes are available. Low per minute international rates. Advanced calling features like IVR/PBX, local ring tones, international fax forwarding, auto attendant, custom greetings and more. Optional call recording is available. Toll free and local global virtual phone numbers are available. Flexible plans, no contracts, and no penalties for non-usage or cancellation. Change your ring-to number as needed. If you need an easy, convenient, and affordable way for people in Egypt to call you, a global virtual phone number is it. Whether you have a short-term or long-term need for global communications from Egypt to your country, our virtual phone number plans can accommodate you. Sign up for an account today and find out just how easy it is to stay in touch.